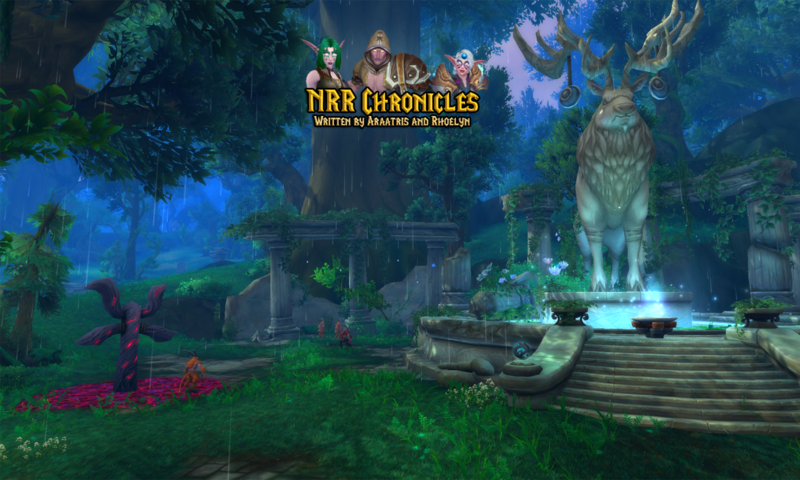 Araatris: Rhese sits on the half-crumbled wall, staring out over the charred ruins of what was the Stormwind park. He turns a note over in his hands. Rhoelyn: A bird lands next him before shifting. “Min’da be here soon.” Yami hugs his arm. A few minutes later the door opens from the nearby tower. Araatris: Wrapping his arm around her, he looks back out over the park. “I can’t imagine we’ll have long with the state of things.” He clenches the note. Rhoelyn: “Likely not. Val and Wrune are going with us.” She notes the paper. “Is that a letter from Rhoelyn?” Nysse smiles as Yami squirms curiously. Araatris: Rhese nods, reaching out to ruffle the boy’s hair. “I can think of no one better. If he’s willing. I’ll write him.” Yami giggles and grabs his hand. Araatris: With a mischievous grin, he leans close by her ear. What he whispers has her blushing much brighter as she glances at Yami and chokes. Rhoelyn: Nysse steps back as Yami nods excitedly. “Go! Go!” She laughs as Aron nods and kicks his stallion into motion. They ride off around the corner. Rhoelyn: “No. I’m worried, but there’s nothing I can do. We’d be searching blind. He’s in Elune’s hands.” She turns and rests her forehead on his chest. Araatris: “Yes.” He leans down to give her a quick kiss. “But it’s a lovely evening for a walk. Let’s take the long way back.” Rhese claims her hand.